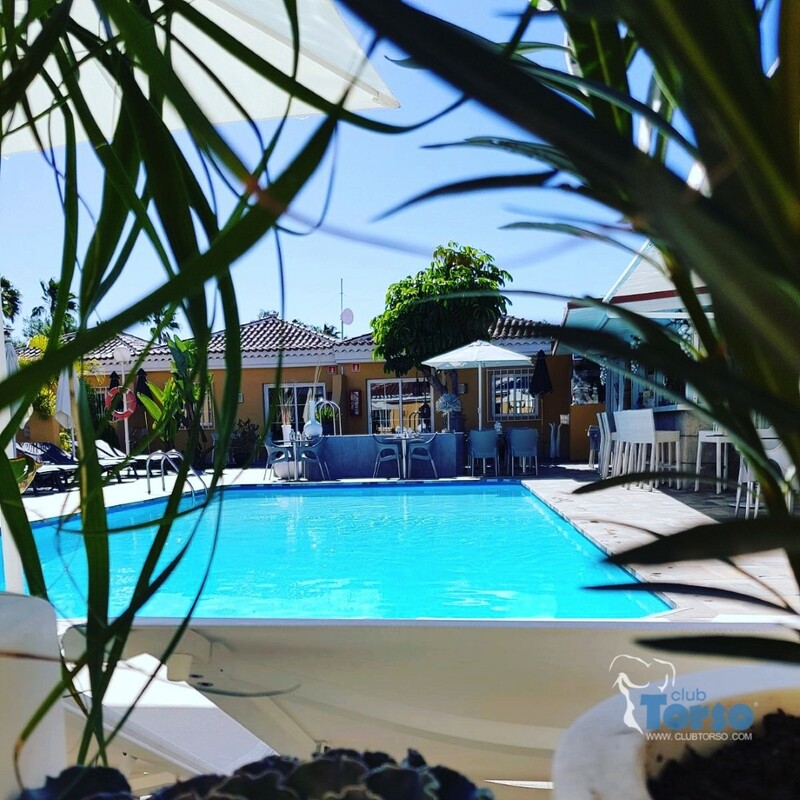 Gay Resorts & hotels Gran Canaria: Club Torso welcomes its guests with a contemporary design that is tailored to the relaxed lifestyle under the Canarian sun and offers the perfect clothing optional, and leaves the choice to wear something or nothing entirely to you. 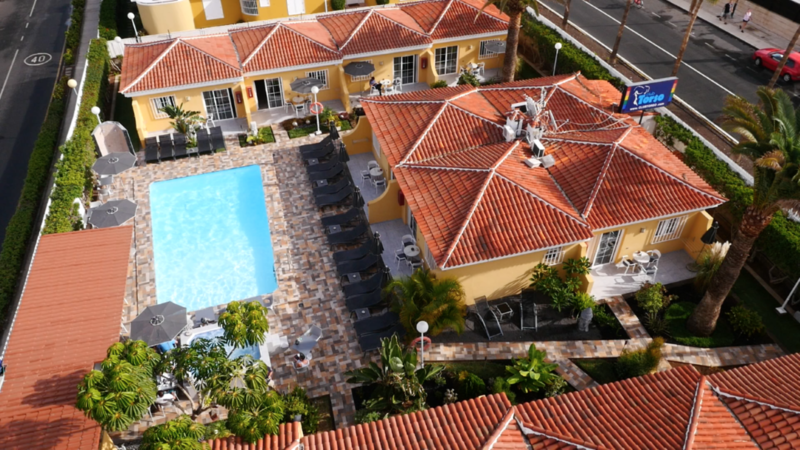 The Twelve bungalows, most of which are situated around the heated swimming pool, are spacious, bright and modern and equipped with all modern comfort. 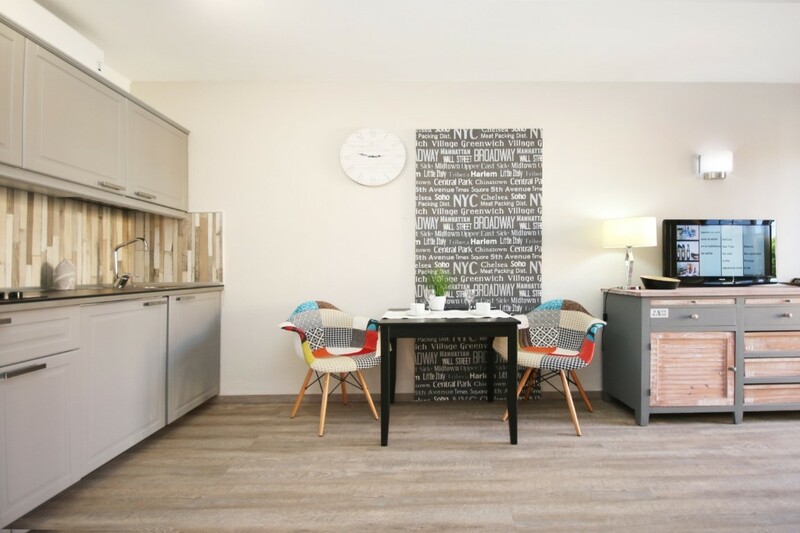 Each Bungalow has a free super fast WIFI fiber connection with an electronic safe at no extra cost. 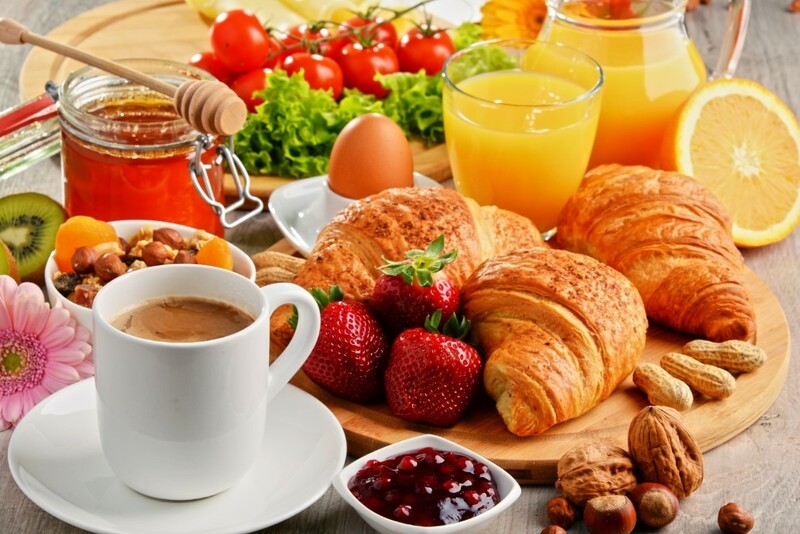 We offer our guests a continental breakfast buffet until eleven o'clock. 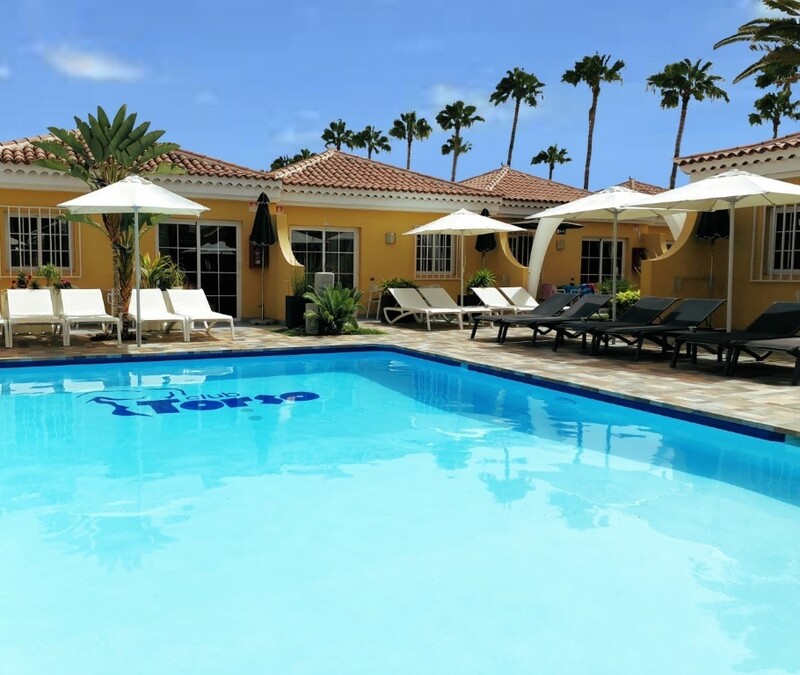 Club Torso has a service and accommodation that is clearly different from other gay resorts in Gran Canaria. The swimming pool is equipped with the latest techniques based on natural saltwater. With more than 32 degrees of heated jacuzzi, this is one of the favorite of our guests that you already went for. Club Torso offers you a healthy and extensive breakfast buffet. We welcome you daily from 09.00 to 11.00. 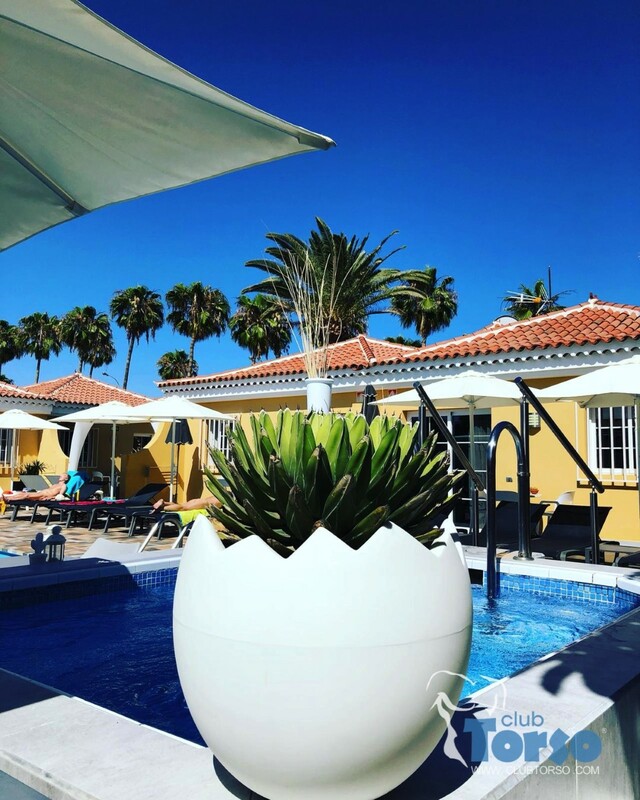 Choose from a variety of juices, unlimited coffee, a wide range of teas and every Sunday a glass of bubbling Spanish Prosecco (cava) ensure a perfect start of the day. Since August 2018 there is a fitness available at our own resort, exclusively for our guests. At our neighbors, a hundred meters from the Resort, you can warm up the muscles in the open-air sports center where professional guidance is available. We are excited to announce that we have been nominated in the category 'Gay complex of the year' at this year's GLAY awards. The final prizes will be awarded via a public vote. Don't worry if you do not know some of the categories or contenders. All we do ask (if you feel we deserve to win) is to vote for us in category 12. By doing so, you will make us very happy! Miguel, our driver will meet you in the arrival hall of the airport, and drop off directly at our resort. This is cheaper than taking one of the local taxis. Bus connection nr 30 or 90 (travel time is just over an hour) this has a stop at the airport and has to get off in Maspalomas. Bus stop Campo International.